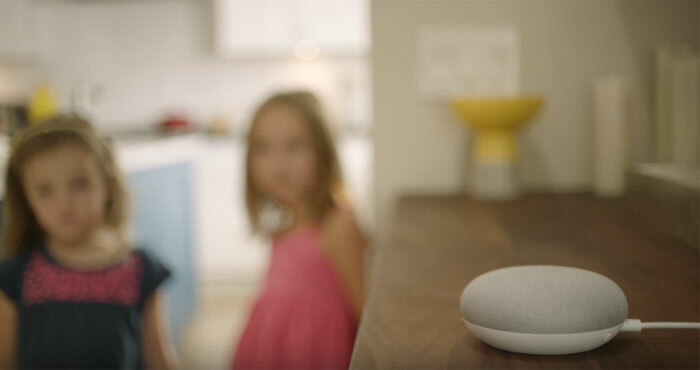 My kids love requesting songs from our Google Home, but I don't want them to stumble upon songs with explicit lyrics. So I started researching how to block access to inappropriate content. It turns out, it's not that easy for most services. When you set up your Google Home, you pick a default music service. Google Play Music is free and your default out of the box, but has weak content controls. Pandora is also free and it has a content filter that you can easily turn on from within the Pandora app or on the Pandora site. 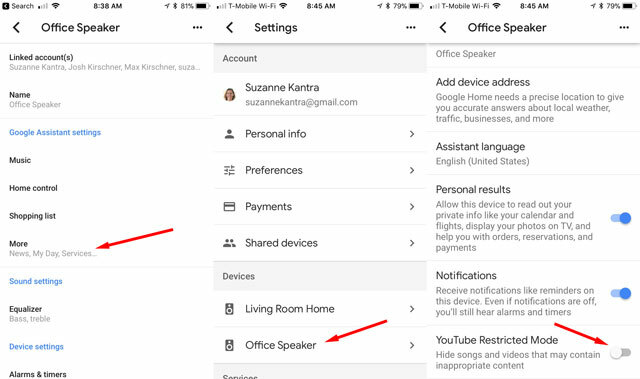 The other two services that work with Google Home are YouTube Red and Spotify, both of which require a paid or premium account to play music.Only YouTube Red has content controls, which you can access from within the Google Home app. 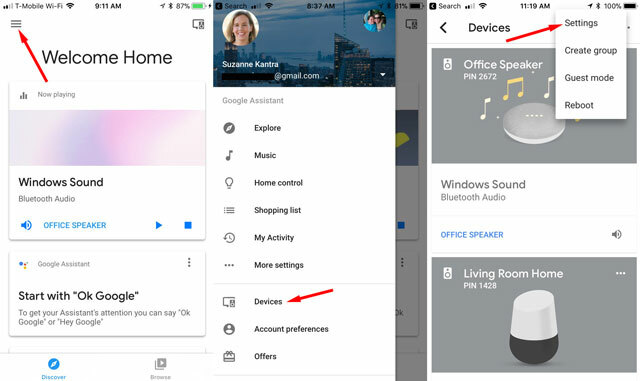 The default music service for Google Home devices is Google Music. 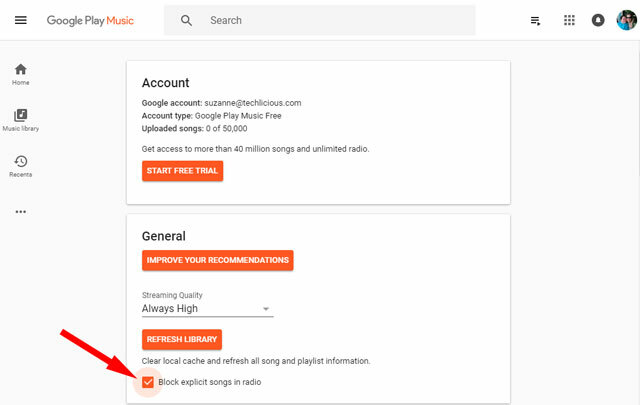 To block explicit content, you'll need to log into Google Music with your computer (yes, only your computer), select settings and check off the one that says "Block explicit songs in radio." Note that this will not block Google Play Music premium subscribers from playing a specific, explicit song or album. Pandora subscribers can easily bock explicit content by going to Settings > Content Settings with a web browser. You can also use the app to go to Settings > Account and then toggle the switch to Off to filter explicit content. You can't block explicit content on Spotify. Unfortunately, this doesn’t prevent the Google Home from playing explicit versions of songs when a specific song is requested. As a YouTube Red or Google Music subscriber, Google Home will play specific songs when asked and there is no way to prevent it from playing explicit songs this way. My kids love to ask Google to play specific songs and the Home will happily play them regardless of whether or not they contain explicit lyrics. Currently there is no way to stop this. In a perfect world, there would be a setting so Google would always play the “clean” version, but I’d be happy if it just said it can’t play that song. I just saw the comment above, which explains why when my son requests “Cake by the Ocean” that has the F word it still plays it even though I followed all of the steps above. Thanks for all of the info on how to block, but it’s really frustrating that none of the services block requested songs with lyrics.